Sentinelle, Baustop and Washdog are the best tools to make your dog stop barking, quickly and without pain. The dog is distracted by his annoying behavior through a short spraying of water that hits him and makes him silent quickly. Our Waterspray Anti Bark System is designed for dogs who live in boxes or kennels. With this collar, the dog doesn't need to wear any other device. A microphone captures the barking of the dog and sends an impulse to the system. 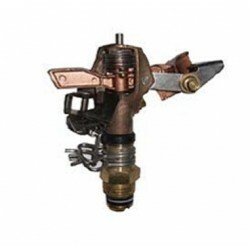 The impulse activates a pump (Baustop) or a solenoid valve (Washdog) which opens the water duct. 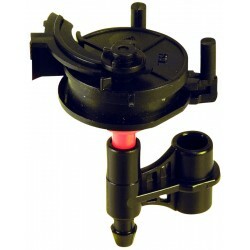 The water comes out from the nozzles with short water spurt. Splashes hit the dog which immediately stops barking. 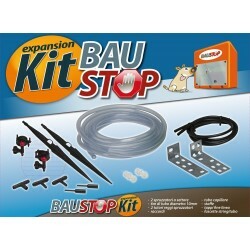 The remarkable range of action of Baustop and Washdog allows you to use them for one or more boxes ,of any shape and size. 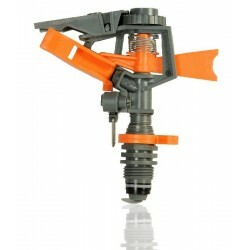 This way you can handle more dogs and large surfaces simply by increasing the number of the nozzle sets. Our Waterspray Anti Bark System is the most innovative Anti Bark System on the market. We have approved it after careful studies and research, which guarantee a full solution for the dog's barking problem in a quick, painless and natural way. Baudog and Washdog Waterspray Anti Bark System are effective, safe and law-abiding. 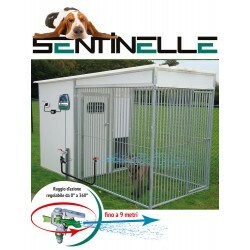 SENTINELLE, BAUSTOP & WASHDOG Waterspray Anti Bark System There are 10 products. 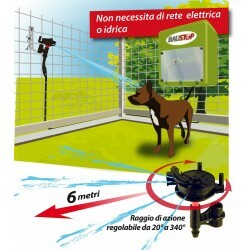 Water anti bark device for kennels of every size and shape, even for small open spaces and small gardens. 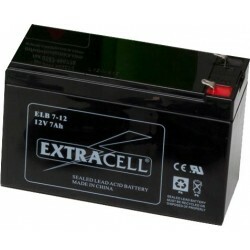 Works with rechargeable batteries (not included). Water anti bark device for kennels of every size and shape, even for small open spaces and small gardens. 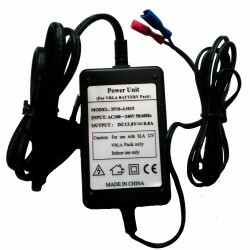 Work with 24V power supply. 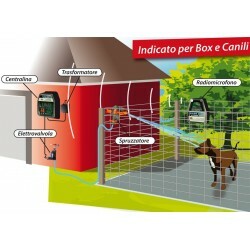 Water antibarking system for boxes and kennels. Equipped with 2 nozzles.